If you have been holding your breath waiting to hear about the new 2019 Range Rover Evoque then you’ll be pleased to know the wait will soon be over. The hot news on the automotive circuit is that the new 2019 Range Rover Evoque will be launched tonight! The hotly anticipated Range Rover Evoque will be showcased live at 19:45 GMT on Land Rovers YouTube channel. 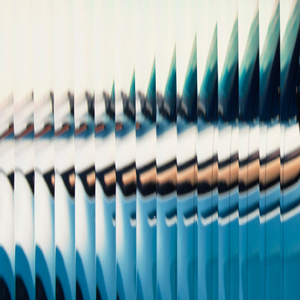 Fans were first notified on Land Rovers official Twitter page where the reveal was confirmed in addition to a new teaser picture of the second generation Evoque behind distorted glass. 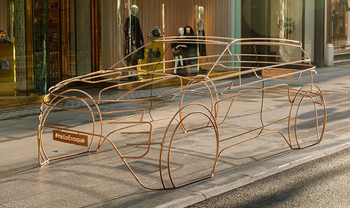 This news is following sightings of a fleet of wire sculptures which were placed around London giving the first look of the compact SUV from this iconic British Marque. The Evoque celebrates 8 years on the market and it is expected to see a number of notable upgrades, which will be revealed at the live event in London today. Whispers expect the new model to see Velar-style air intakes which could carry over from Land Rovers latest SUV model to the new 2019 model Evoque. It is expected the compact SUV will retain the fast roofline and rising waistline that is characteristic of this popular British car. Land Rover state it is ‘time to make a statement’ with their new Range Rover Evoque 2019.